A highly regarded law practice, The Law Office of Russell A. Cohen is committed to providing each client with highly personalized, professional and solution-oriented legal assistance. 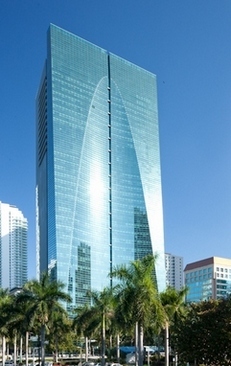 Based in the heart of Miami’s Brickell Financial District, we specialize in representing clients in criminal, family and personal injury law cases. With a consistent track record of achieving successful results, our firm’s experience, coupled with its strategic approach, allows us to meet – and often exceed – our client’s expectations. Serving as an aggressive advocate for each client, we understand that handling legal matters can be a stressful and intimidating process. At The Law Office of Russell A. Cohen, we can help ease the anxiety by offering affordable, honest and results-driven counsel. Whether you are facing a criminal case or investigation; going through a difficult divorce or dispute relating to family law; or have suffered an injury due to the negligence of others, we can help. We understand that the legal process can be stressful and intimidating. Allow us to give you an honest assessment of your case and ease your anxiety. Contact us now to schedule an appointment. Criminal Defense: We handle all matters pertaining to both misdemeanors and felonies. By aggressively defending your rights, we are committed to exploring all options available in an effort to resolve your case. Personal Injury: We serve as advocates of our clients’ needs and rights, and work tirelessly to ensure that accident victims collect money from negligent parties for outstanding medical bills, future medical bills, lost wages, lost future earnings and pain and suffering. Immigration: We provide effective representation to individuals and businesses with immigration issues. Family Law: We provide our clients with tireless and compassionate representation in all practice areas of family law.